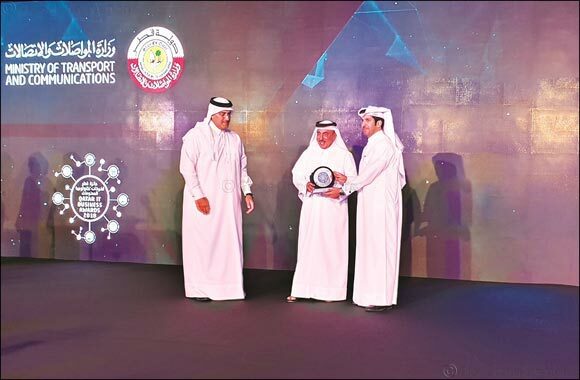 Doha, September 11 , 2018 – MEEZA, Qatar’s prominent end-to-end Managed IT Services & Solutions Provider is pleased to announce that it has been named winner in the “Service Provider of the Year” category by the Ministry of Transport and Communications (MoTC) at the fourth edition of the Qatar IT Business Awards. The Qatar IT Business Awards by The Ministry of Transport and Communications (MoTC) honors organizations that have benefited the ICT Industry and the development of innovation. The award program is an annual event, where independent panel of experts in technology and business judge the awards nominations. MEEZA was named winner for the ‘Service Provider of the Year” category for providing sophisticated range of end-to-end Managed IT Services and Solutions, ICT Infrastructure, Security Services, Service Operations, Disaster Recovery, Call Center Operations, as well as a number of End User “Desktop-as-a-Service” features. MEEZA, a Qatar Foundation joint venture, is an established end-to-end Managed IT Services & Solutions Provider based in Qatar that aims to accelerate the growth of the country and the region through the provision of world-class Managed IT Services and Solutions. MEEZA’s offerings include Data Centre Services, Cloud Services and IT Security Services.